The English word “garden” sounds like the Serbian and Russian suffixes grade, grad, and gorod, all of which mean “town.” You see them in city names like Belgrade, Leningrad, and Novgorod. The word “town,” on the other hand, sounds a lot like the Dutch tuin, for “garden.” What’s the connection? 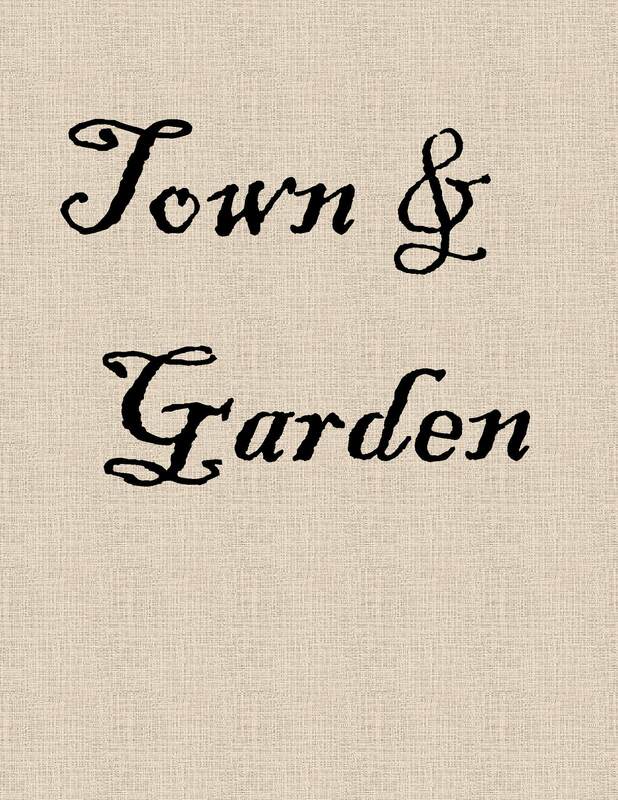 What do these town and garden words have in common? Serbian, Russian, Dutch, and English descend from the same prehistoric mother tongue. So do most languages of Europe, Persia, and India: the “Indo-European languages.” There’s no record of the mother tongue or of the people who spoke it. They must have spread across Western Eurasia before the age of written records, but we don’t when or even where they came from. We do know something about how they lived, though, thanks to the similarities among their daughter languages. The town/garden overlap tells us that their language used one or more words for both towns and gardens. A town is an enclosed space, and so is a garden, so linguist think the original terms meant enclosure. That suggests that the original Indo-Europeans lived and grew vegetables in walled or fenced enclosures. To us, these prehistoric settlements look like both towns (villages) and gardens. To the Indo-Europeans, there was no difference. Another modern word backs up the theory. The German word Zaun is pronounced “tsown.” It means fence. Linguists have actually reconstructed these “Proto-Indo-European” terms for enclosure. At least, they think they have. From garden, grad, gorod, and terms in other Indo-European languages, they’ve reconstructed “gher,” which they think meant to enclose. And from words like town, tuin, and Zaun, they’ve reconstructed “dhu-no,” which they think meant enclosed place. Town and tuin aren’t the only descendants of dhu-no. Prehistoric towns were often built on hilltops, known as downs or duns in Old English, giving us place names like Wimbledon. And a sandy hill is a dune. Nor are garden and grad the only descendants of gher, the verb meaning “to enclose.” A girdle encloses a waist, just as a fence encloses a garden. A yard is a fenced enclosure too, sometimes home to an orchard. And a hangar encloses an airplane and comes from the Old French word hangard, for “enclosure” or “shelter.” Even chorus may descend from gher, through a word something like “ghoro”–suggesting that the Greeks who coined the term sang and danced in a special musical enclosure. History in English Words, by Owen Barfield (1953): One of the most entertaining short reads around. Barfield was one of the Inklings: the literary companions of Tolkien and C.S. Lewis who gathered in Oxford to chat, debate, drink, and critique each other’s writing, from the 1930’s to the 1960’s. The American Heritage Dictionary of Indo-European Roots, Second Edition, edited by Calvert Watkins (2000)–soon to be replaced by a third edition). I really enjoy the Words across Time concept – I have always been fascinated by words and their etymology. Have been enjoying your pints of history as well, although I don’t always get here to say so! This fascinates, seeing how world compresses to word! More, please! Generally, I like the Words across Time concept, although working with ethymology can be much harder than it seems. There is a lot of stuff people said about the origin of this or that word, that is simply not true and it’s hard to tell what’s a reliable source and what’s not. Regarding, towns and gardens as enclosed space, that’s a pretty solid theory. One can draw this conclusion based on Russian alone, which has both “gorod” (and “grad”, an Old Church Slavonic borrowing) meaning ‘town’ and “ogorod” meaning ‘vegetable garden’. Thanks, all! I’m glad to see Words across Time is off to a good start (and not a chorus of yawns). More will come soon.